The Dodge Viper officially dies this year when the final 8.4-litre V10 coupe is scheduled to roll off the Detroit production line. In a bittersweet moment for US muscle car fans, the torquiest naturally aspirated passenger vehicle in the world celebrates its 25th anniversary in 2016 with five commemorative limited editions announced to farewell the biggest of big guys. All will be produced in ACR specification that launched in 2016 with the 481kW/813Nm rear-wheel drive “ultimate street-legal race car” scoring significant aero and suspension upgrades. 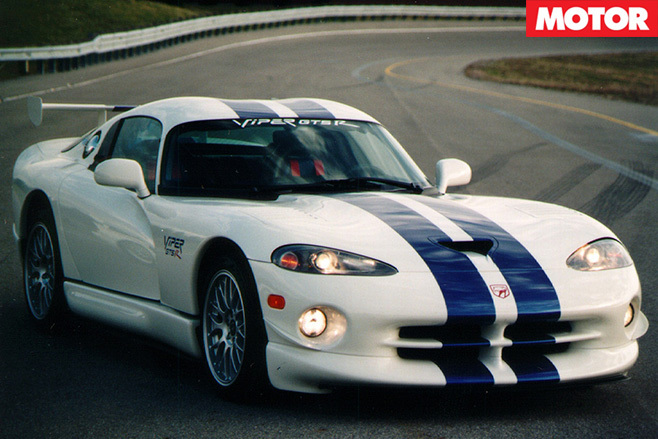 A 100-unit Viper GTS-R pays tribute to the 1998 model of the same name with white exterior, blue stripes, ‘extreme’ aero package and carbonfibre styling bits, while the 31-unit Viper VoooDoo II presses fast forward to give a nod to the 2010 model with one less letter in its name – VooDoo. It features a black exterior and grey stripe with red outline. 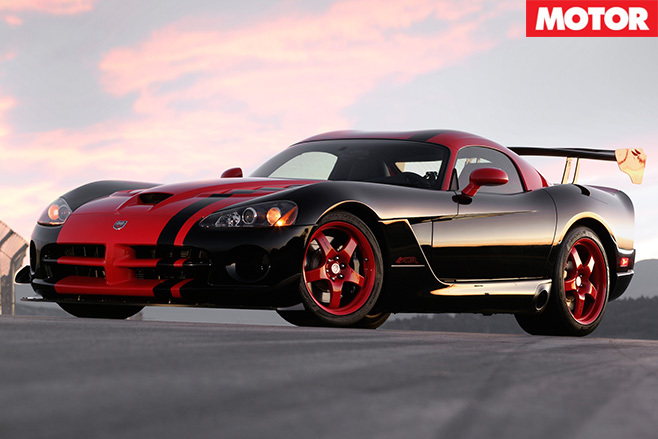 The rarest final – sorry, commemorative – edition will be the 28-unit Viper 1:28 that pays tribute to the current production car record held by the car at the Laguna Seca Raceway, featuring black exterior and rear wing, red stripes and even the customer’s name written above the driver’s door. No prizes for guessing the model’s time around the circuit. 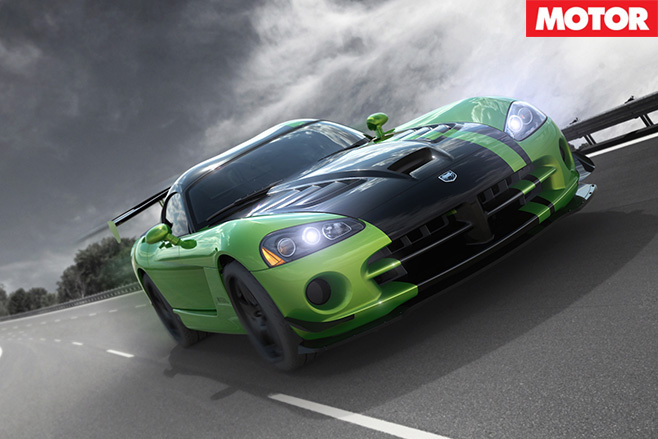 “The Dodge Viper has had a great run, and 25 years after it was first introduced it leaves the supercar world reaching for the records it continues to set,” said Fiat Chrysler Automobiles (FCA) head of passenger cars Tim Kuniskis in a statement. Detroit has cranked out 30,000 Vipers since 1992, but more recently FCA has most focused on its top-earning US SUV marques and relaunching Alfa Romeo.